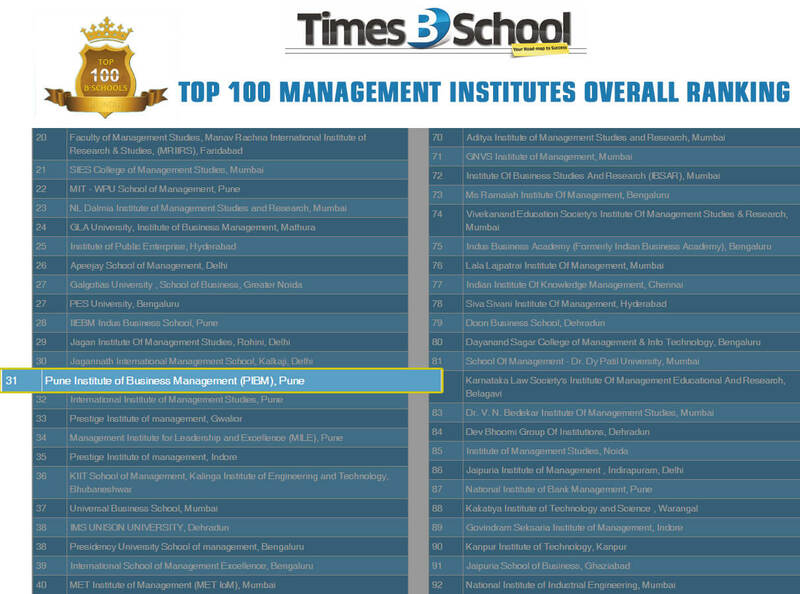 We are very proud to share that our college PIBM ranked 31st in Top 100 B-Schools in India, 21st in Top Private B-Schools in India & 13th in West Zone. We are thankful to Mr. Raman Preet – Chairman – PIBM Group of Institutes & all the staff members and special thanks to all PIBM students! Together We Achieve More!